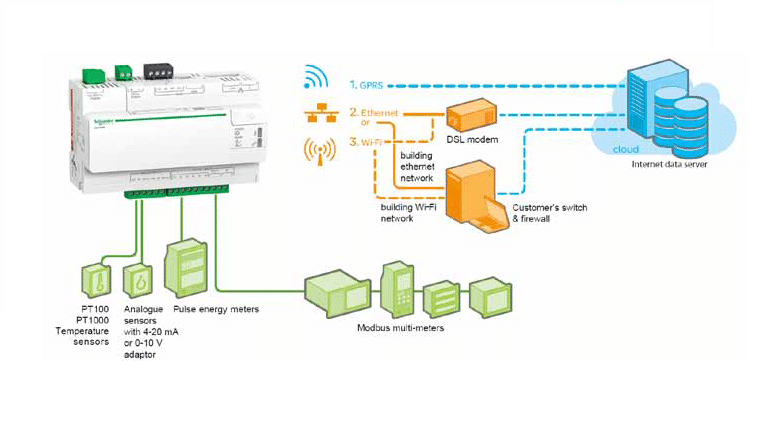 The Energy Server Com’X 200 collects and stores wages consumptions (Water, Air, Gas, Electricity, Steam) and environmental parameters such as temperatures,humidity, and CO2 levels in a building. Data is periodically transmitted as a report toan Internet database server. 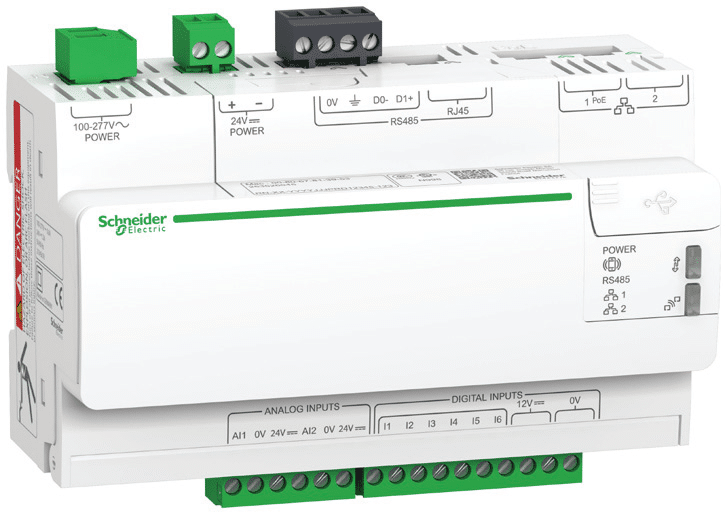 Once received by the server, the data is ready to be processed and displayed as webpages through web services provided by Schneider Electric, such as StruxureWareEnergy Operation and StruxureWare Energy On Line. or by any private energy management platform.